I’m coming to you live from the Lady Lair tm. 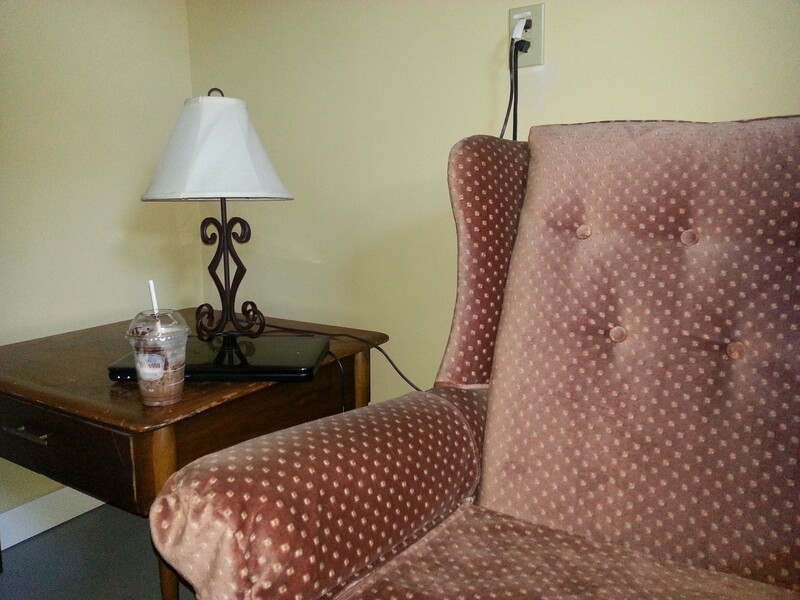 I’ve got my chair, my lamp, my laptop, and my latte. I can already tell that I’m never going to want to leave. Quick post today before I get down to some other writing projects, while the babysitter is here. I was just thinking that one of the things I really like about nonconsumerism is that it makes you more of a critical thinker. Once you start down this path, so many debates are opened, and nearly everything comes under scrutiny. Seems pretty necessary, right? Well, a recent thread in the Nonconsumer Advocate Facebook page on toothpaste would make you think otherwise. A lot of posters mentioned how they use cheaper and/or more natural alternatives such as mint oil or bentonite clay, and at least one poster said that her dentist had admitted that toothpaste isn’t necessary, and it’s the brushing that really does the work. I’m not vouching for the validity of these claims, and there’s other considerations such as access to fluoride, but I just love the possibility that a “must-buy” is not a must-buy. So many times we tell ourselves, “I just can’t.” Especially with regards to money. We think we can’t save money, that we will forever be stuck living paycheck to paycheck, unless we win the lottery or come into an inheritance. Nonconsumerism is like standing on your head and looking at everything from a completely new angle. Question everything. Do you really need it? Can you get it for cheaper? Can you make it? Can someone else lend it to you? Can you fix your old one? Toothpaste, cable TV, school pictures, Halloween candy, a new lawnmower, socks, health insurance, baby wipes, cat food. Don’t hand your money over without a fight. Don’t do something just because that’s the way you’ve always done it. Don’t try to be like everyone else just for the sake of being like everyone else.